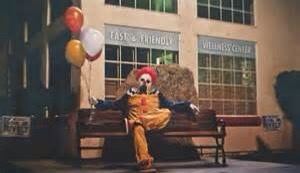 Lately there have been a number of “funny” situations involving terrifyingly evil looking clowns. In the news, people have reported sightings of these clowns in the middle of the night in lonely streets and parking lots. Those incidents took place in Wasco, California and from what I understand, is a husband and wife photo project. There were other sightings in Bakersfield, California which have been chalked up to kids pranks or an imitator. 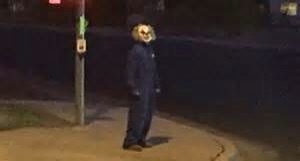 Aside from these late night sightings, there were a few YouTube videos in which a creepy clown seemingly smashes the head of a “victim” (completely staged, of course) and terrifies onlookers causing them to run for their lives. 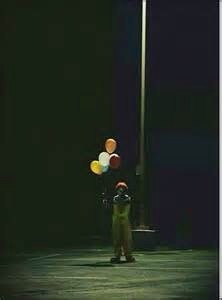 In some of the videos, the clown actually pursues the horrified passers by. Consider this my PSA for creepy clown pranksters everywhere. I am a mother, my kids NEED me and I will hurt you. When it comes to “fight or flight” my natural instinct is NOT to flee. I, and many mama bears just like me, will turn on you and beat you to within an inch of you comedic life with your very own rubber shoe. Do not leap from behind bushes, do not creep up in a parking garage because you will get got. If I have my children with me, may the gods take pity because I will not stop to ask questions. They will be scraping confetti from the walls and will have to dislodge your big red nose from where the sun don’t shine. Let that be a warning to you, Bozo. lol you tell them Jenny-Faye!! I am right there with you!! DON’T MESS WITH MY KIDS/GRANDKIDS! !